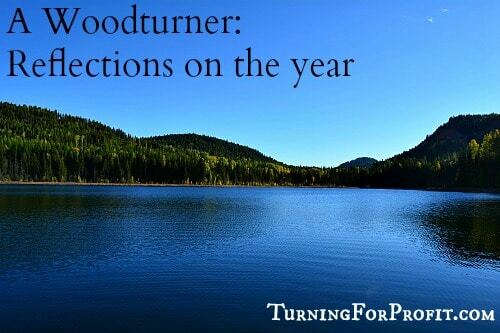 This has been a great year for me as a woodturner. I have enjoyed getting to know you better. 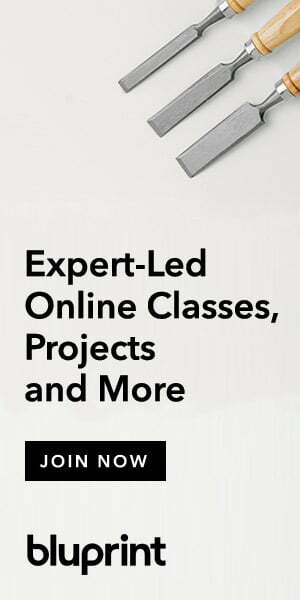 With 50 projects, business ideas, and turning tips that were new this year, which ones have you enjoyed? From setting goals in January to preparing for craft fairs in the fall it has been a busy time. 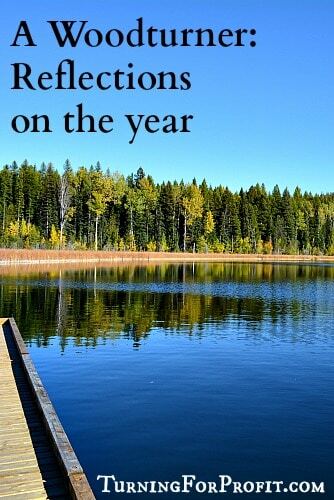 It is time to look back and see where you have been and reflect on what you have done. How much wood can a woodturner turn…? Did you spend more time at the lathe? I hope so. With all of these project posts I’ve been busier than normal turning garden dibblers, tea lights, and Mason jar lids. My goal was to actually spend even more time on the lathe than I did. Guess that goal moves forward to 2017. What turning projects were you able to turn in 2016? If there were some projects you would have liked to have turned, then let’s add them to the list for 2017. 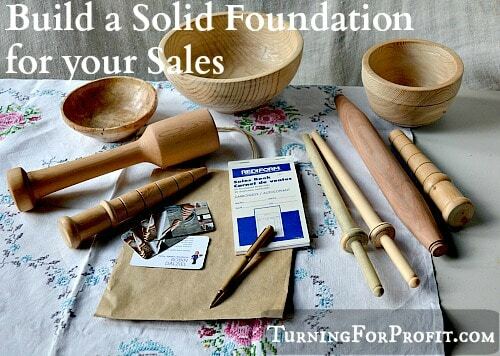 You have all been busy visiting Turning for Profit. Thank you for stopping in. 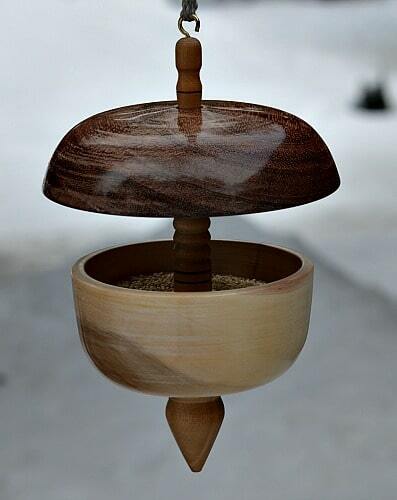 The most frequently viewed woodturning project was The Honey Dipper Project. It has been a consistent favorite for the entire year. 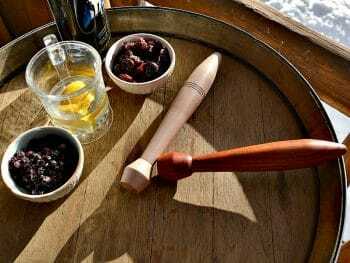 So what is a honey dipper? 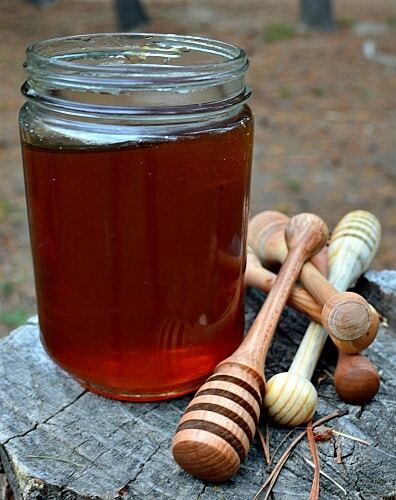 A honey dipper lets you pick up the honey from a jar and then add it to your tea or drizzle it on your pancakes. This is an easy project to turn, and after you have turned a few, they are quick to make and super to use and enjoy. All you need as a turning blank is a piece of wood about an inch square and 6 inches long. Pen blanks can be used though the dipper end won’t be quite as large. Dippers can also be turned from pruned branches as well. 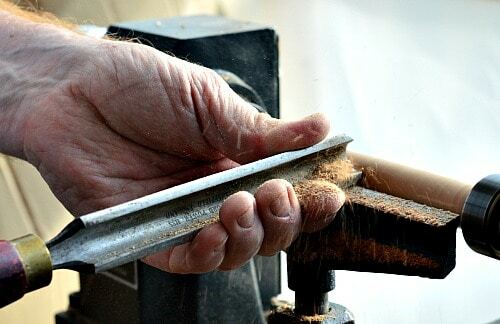 The post on health challenges that arise from wood turning was very popular. 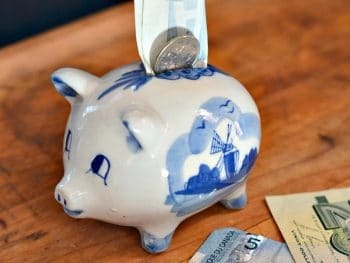 Only available since September this post became the most read non-project entry on Turning for Profit. 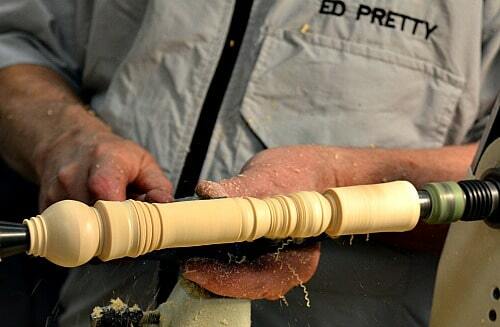 It is a real challenge to evaluate your turning habits if you are only turning occasionally. There are more sports injuries from among those who are weekend athletes than any other group. The same would be true for those of you who don’t turn on a regular basis. This is a good read to remind you that turning can and does affect your body but also how to turn without hurting yourself. I think that a good solution is for us to turn more. What do you think? Life gets in the way but it is so much fun to have the lathe spinning and the shavings flying. What types of projects would you like to try in 2017? When I started out turning I would try to do the projects in the books and magazines. Sometimes I had the right sized turning blank but other times no such luck. The nice thing about lathe work is that it is easy to make adjustments. If your turning is a little longer, or thinner, or a different shape, it will usually still work out. Your honey dipper reflects your turning and your style. That’s part of the fun. 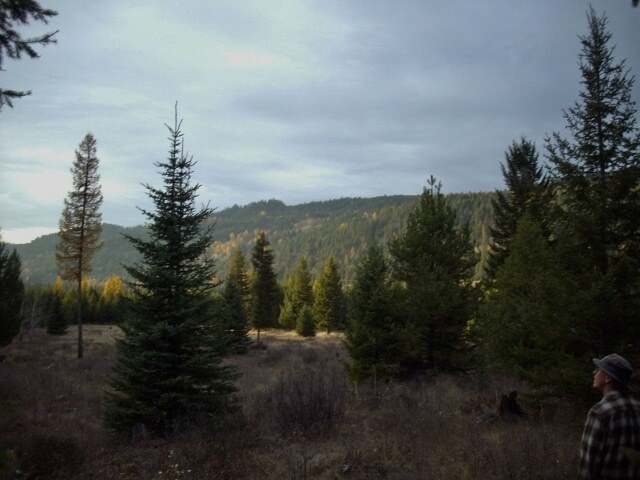 Sometimes you can find a project that is the perfect challenge for where you are at. I really enjoyed putting together the Bird Feeder Project Parts I and II. The inspiration came from a turned bird feeder on Pinterest. I looked at the idea and figured out how I could turn it. It took a bit of time to reflect on the process but I really like the end result. The key was spindle turning the central post with different diameters to take the two bowls. It was a neat idea and I’m glad it worked. This is a great combination of both spindle and face plate turning. It requires three turned pieces to fit together. 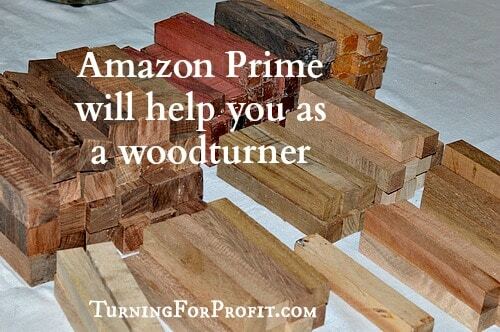 This gives you a good opportunity to be creative with your wood turning and your wood selection. A technique that I haven’t tried yet is segmented turning. I’m going to put that one on the list for 2017. The workshops that I attended in October of 2016 were a great learning opportunity and a place to make connections with fellow turners. I found out a lot of what I didn’t know but sort of fudged my way through in the past. There were new friends and I learned a lot about wood turning. These tips and tricks for woodturners are great. I enjoyed the workshops and sharing the experiences with you. 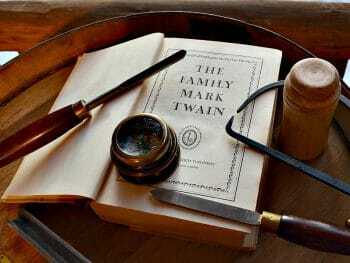 This has been a very interesting and popular post. 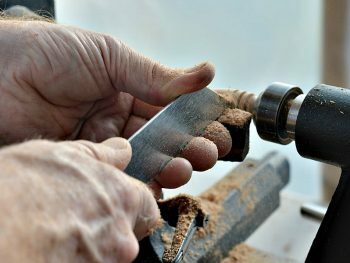 I think every woodturner would like to learn more tips that would make things easier on the lathe and in the shop. Let me know if you have any tips or tricks that you are using when you are woodturning. As you look back on your year as a be easy on yourself. I would have liked to do more turning but I still did quite a bit. You may have had challenges or things just didn’t go quite as planned. Okay, so that was 2016. So turning to next year we will move forward and do better. Maybe plan to do a project a month, or decide that all family birthday presents will be turned, you know what you would like to do much better than me! Leave me a comment and let me know what you are planning for in 2017. I just love turning and I am glad that you are accompanying me on this journey. Now we need to look forward together to 2017. If you have any questions about turning, or the business of turning, new project posts, or you just want to say hi, please leave me a comment at the bottom of the page. These posts are for you, the woodturner. 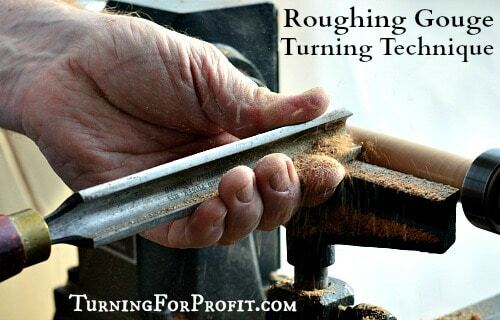 If you like turning projects or articles related to the business of turning, please sign up for the Turning for Profit newsletter. Generally it comes out once a week and has links to the current articles, a bit on what I am up to, and usually a question for your response. You can sign up on the right side bar or just a little lower on the page. I love wood turning and sharing with you. You can follow me on Facebook as well. Thank you for joining me on this woodturning journey. Have fun and remember to turn safely. Any suggestions on starting a website? I sent you an email. Robin.